When parents are too focused on grades and performance, they deny their children the time and energy they need to tackle the demanding work of growing up. Do you like to know the strategies for raising healthy children in today’s fast-paced world? In this presentation, parents will learn how to establish a healthier home environment, reduce academic stress without sacrificing achievement, and increase their children’s resilience, creativity, and well being. All sessions are presented by Challenge Success, Graduate School of Education, Stanford University. Tuesdays, March 14 and April 18, 2017, 6:30 p.m. – 8:30 p.m. Learn smart cycling skills. Bikes East Bay will lead these classroom workshops, no bike required, at the Fremont Main Library. Find details and register at https://bikeeastbay.org/education or call 510-845-7433 ext. 2. Attendees will receive a free reflective vest. 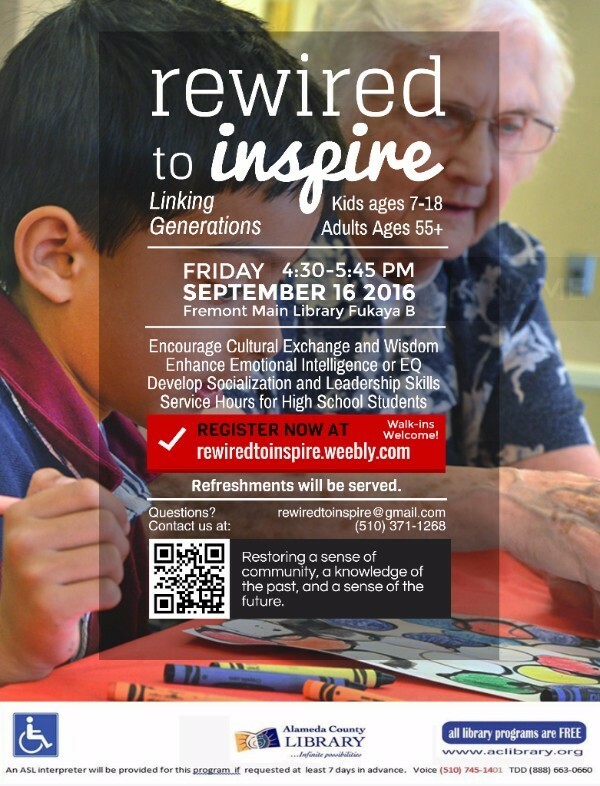 Parents, grandparents, and caregivers – mark your calendar!! If you would like to plan a fun summer for your child, come to the Summer Program Fair scheduled on Friday, March 10, from 6 to 8 pm at the American High School – Rotunda, 36300 Fremont Blvd, Fremont, Ca, 94536. There were more than 70 vendors and around 1,000 people at the fair last year. Come to see what abundant programs/activities you can find for your child to do this summer. This is a pretty new program involved students 7-18 years old and adults aged 55 and up. The fun and successful kick-off event took place on May 20th. After several months off, they are coming back to resume the program on September 16th, with a plan to have it regularly on every 3rd Friday of the month. 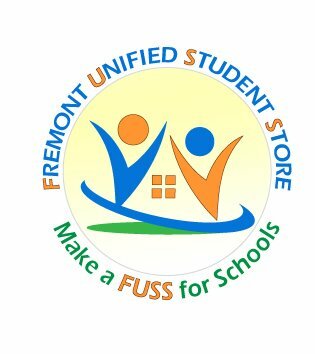 Sponsored by FUSS (Fremont Unified Student Store), this student initiated Care Project helps build a bridge between older adults and students. Through this program, adults can act as role models by sharing their cultural heritage and wisdom while students can increase their communication and leadership skills as well as enhance their emotional intelligence (EQ). If you haven’t signed up for this year’s summer reading game – Read For the Win, you’d better hurry. This Saturday, 8/13, will be the last day to sign up to play. Once you’ve signed up, you can continue to read and play until 8/31. This year, other than the paper bingo game, we also have an online game, which means you can win double the prizes. And for all the adult and teen players — this year we are having a raffle if you entered your email or phone number when you sign up. The prize will be a Fitbit band for adult and GoPro camera for teen. Don’t miss your chance! Read, play, and Win! !